Colors... I love playing with colors! Personally I based my seasonal colors on those which are already in my fabric stash. For I have a loooot of black fabric, this color is still in my palette but in the long run I want to replace it ( by charcoal). 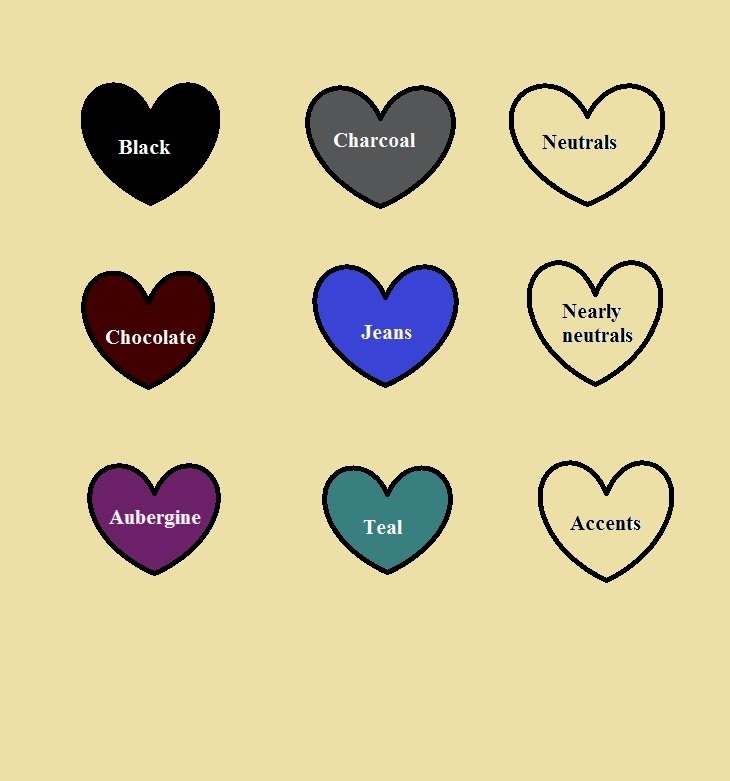 Charcoal is my second neutral and chocolate brown and jeans my nearly neutrals. For statement colors I chose teal and aubergine. I looooove everything teal at the moment!!! And some grey ones.... I really just have winter boots and summer sandals, so I needed to buy some nonetheless. Next week we decide what to sew! I´m soooo excited!